Toying around with Flickr so will post 3 old pics I found of my 65g tank that is coming down. 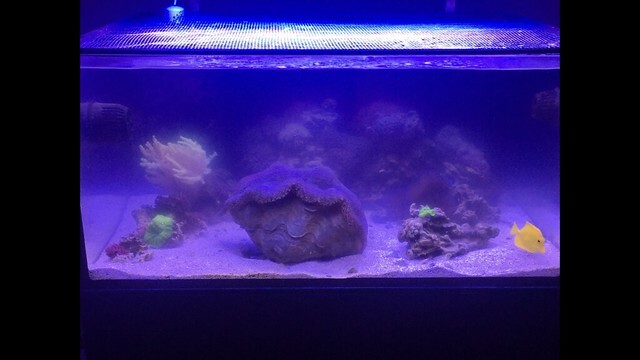 The first is my clam about 3 years ago when it spawned the first time. He was about 3" long when I first got him 8 years ago. 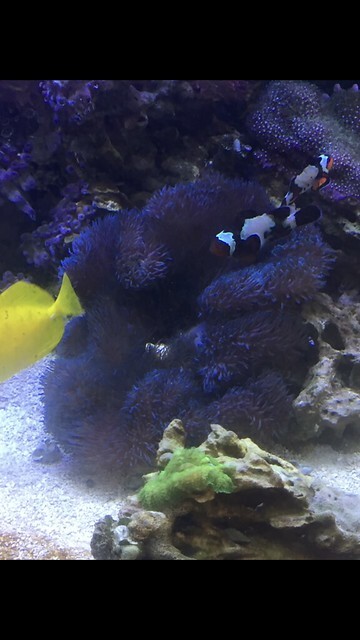 Spawning went on for about an hour and made everything in the tank go crazy. 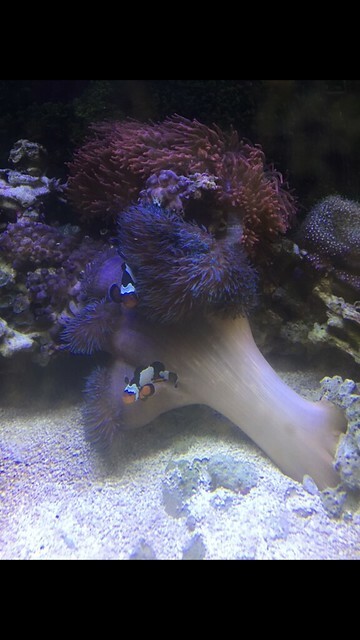 The 2nd and 3rd were of the carpet who decided one day to stretch all the way out to grab an adjacent rock full of junk palys , rip them off the rock and eat them. At first I thought he was going after the Roses but he never bothered them though they frequently touched. Never did it again. Flickr seems pretty easy to use. Would love to see pics of that 16" clam!